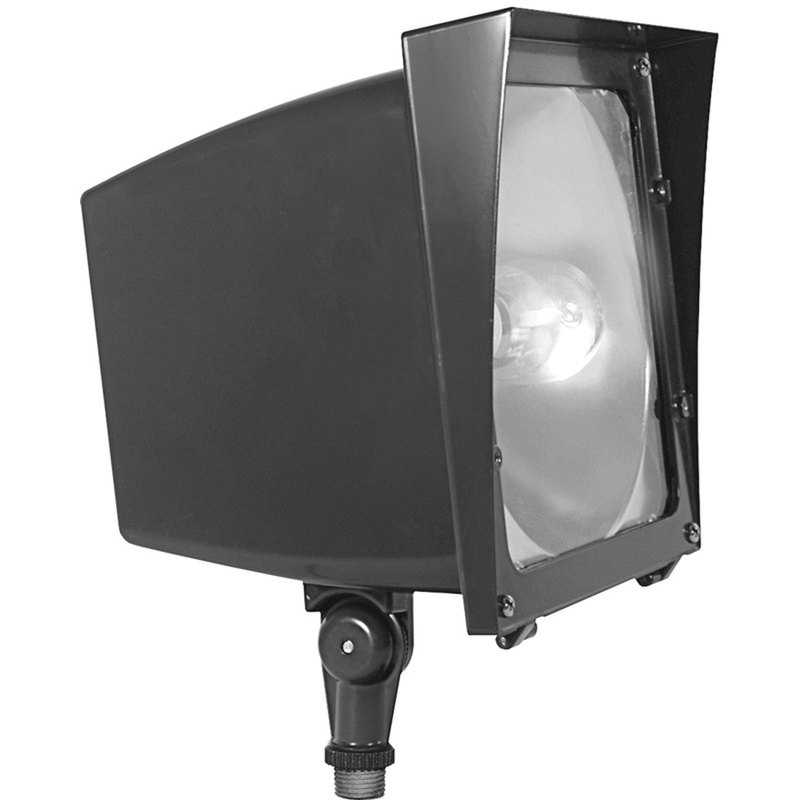 Rab Flood light in bronze finish, has precision die-cast aluminum housing for corrosion resistance and durability. 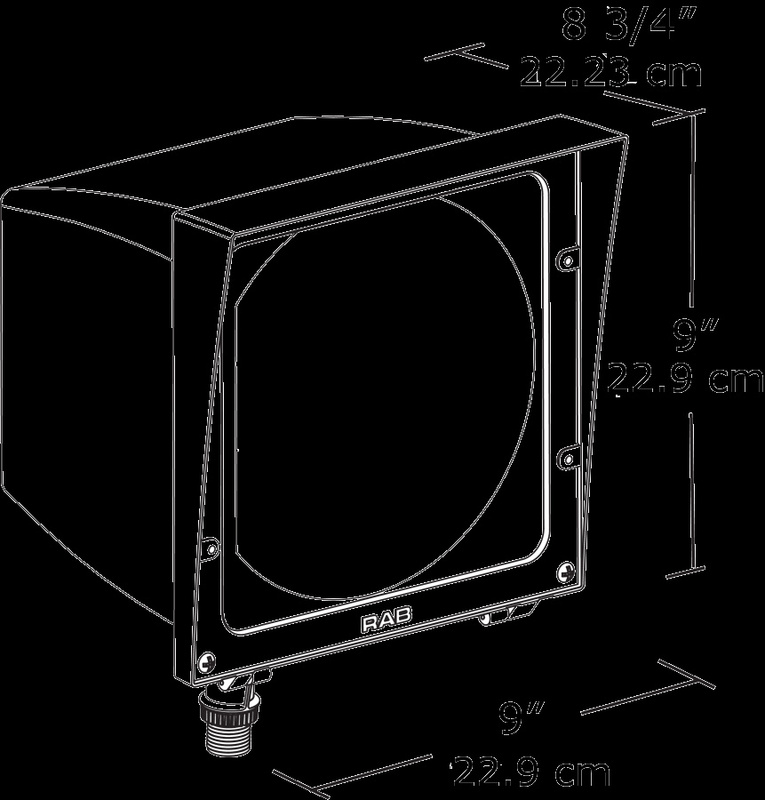 This light features hydro formed aluminum reflector that is field adjustable to vertical or horizontal lamp positions and high-temperature tubular silicone gasket for weather proofing. The light has fins that release heat efficiently to extend the life of lamp and ballast title. The fixture works with 120-Volts, 208-Volts, 240-Volts and 277-Volts. This light is suitable for use in wet areas and ideal for ground mounting. The light with efficacy of 62 LPW, has a voltage rating from 120 to 277-Volts. The flood light meets UL and EISA 2007 standards.